Princess Rosely’s fate was sealed when she first picked up a sword trying to kill an evil wizard. Little did she know the legendary Lucilys, Sword of Light, had chosen her to be its heiress. That also meant her peaceful life in the castle of Altodias would no longer be the same. Soon, the young princess encountered the pain of losing all the people that she loved, and being separated from her twin brother Rolant, the heir of Silvan, the Sword of the Moon. Rosely would have been even dead floating in a cold river if she had not been saved by a handsome green-eyed king of the Alf. Growing up as his foster daughter in Alfheim, Rosely learned magic and martial arts from the Alf, only waiting for the day she could avenge for her lost country. Would she be able to fulfill her will? What the fatal sword Lucilys had in store for her? Would resentment drive her to insanity? Who was the one behind all her misfortunes? And who could have been the chosen owner of Soles – Sword of Sunshine, the third one in three ancient magic swords? This fantastic tale will make you want to believe in fairies again! Thank you for doing this project. I love this series and it is such a classic. I’m glad it is still popular. I hope you will come with it to the end. 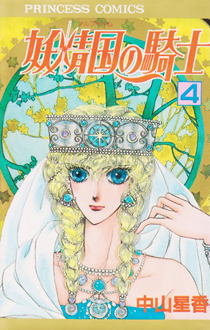 This manga is one of my absolute favourites and I am so grateful that you are scanlating it, if there is anything I can do to make the releases faster or easier, please just contact me, I may not have any skills of use, but I still wish to help.